Psychologists report that early Christmas decorating can make you “happier”. They link holiday decorating to light and color therapy, as well as sociability, nostalgia and childhood magic. While many people cannot look back on childhood with any real sense of fondness, holiday decorating helps some enjoy an experience they would otherwise be unable to access. It’s hard to argue the science supporting those who enthusiastically deck the halls in early November, but there’s an entirely separate issue cropping up before Thanksgiving which warrants scrutiny: materialism. As soon as Halloween is over, an inundation of Christmas materialism begins. It’s ironic that substance use disorder is so profoundly stigmatized in a society built around the pursuit of more. Substance use disorder is distinguishable only because its consequences are glaring. However, as fellow humans, we really aren’t that different from one another. From birth onward, we all receive the same cultural message that what we have isn’t enough. By that logic, if we don’t have “enough,” who we are is not enough. Substance use disorder often develops as a way to cope with the pain of not being enough. While some people stand in line for the next iPhone, others pour themselves a drink. It’s common to see drunk driving accidents in the news, but the consequences of over-consumption are significantly less publicized. Our society’s culturally ingrained materialism can pose a special challenge for people in early recovery. There is a difference between the restoration of material goods and holistic recovery. Some help seekers mistake recovering outside things – such as a job, a car, housing, and nice clothes – for overall wellness. Just because one looks good on the outside, doesn’t mean one feels good on the inside. Happiness and recovery are both inside jobs. These cliches elicit more eye rolling than Christmas lights on November 1st, but they convey the truth. Financial recovery is as much about balance as substance use recovery. Balance requires deemphasizing extremism. So how do you weather Christmas without going over the top? In other words, how do you avoid spending self-sabotage when you’re trying to rebuild your life? We’ve said it before and we’ll continue saying it: The greatest gift you can give your loved ones is the gift of your recovery. In active substance use, you may have missed years – or even decades – of seasonal celebration. Maybe your family spent Christmas morning wondering if you were alive. Perhaps you were physically present but mentally checked out. Don’t be discouraged if it takes time for your loved ones to trust you. Continue to show up and maintain your sobriety and, with each passing holiday, their faith will return. If it doesn’t, the passage of time will help you cultivate a family of choice. If you are in dire financial straits, the gift of time works just as well under the Christmas tree. Perhaps you can gift a talent – such as photography or carpentry – to your loved ones. Does your mother need help fixing something around the house? Would your sister love a family photo session? What about your spouse’s hunny-do list? Can you cook, bake, or fix a car? Could your best friend use a babysitter? Create a coupon book or personalized gift certificate and stick it in a holiday card. A quick Google search will produce free printable templates. Most importantly, follow through! Remember that experiences are much more memorable than a sweater or an electronic device. Your kids and spouse won’t forget a special adventure or date night. Each December, Eartha Kitt woos us with what might be the most impressive Christmas list of all time. A duplex? Checks? Sign your ‘x’ on the line? Yikes! Sadly, many people spend themselves into financial crisis during the Christmas season. An alarming number of Americans are still paying off last year’s Christmas debt while simultaneously racking up more. While this is not an ideal scenario for anyone, it’s even less ideal for those who are trying to make ends meet or facing an intimidating list of financial amends. During active substance use, staying on top of bills can fall to the bottom of the priority list. 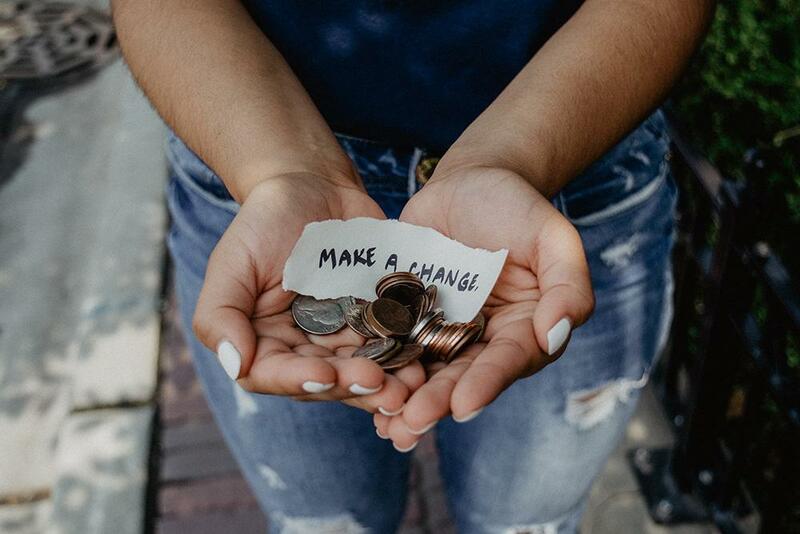 Life revolves around maintaining a constant supply of drugs or alcohol, which is often detrimental to the rest of one’s fiscal responsibilities. Set a spending limit per person – If your limit is $5 or $10, that’s okay! A box of chocolates or a cup of coffee are universally appreciated. Have a conversation with your family – Chances are, if times are hard, your family will understand. Maybe you can organize a Yankee swap or agree to buy only for young family members. Utilize the cash envelope system – Throughout the year, stick a small amount of cash in an envelope on a weekly basis. The amount will depend on your predetermined spending limit. When December arrives, purchase Christmas gifts using only these savings. Avoid credit cards – In a similar vein, put your credit card away during the holidays. If you need to hide it, stick it in a drawer or give it to a trusted family member. Do not bring it on gift shopping excursions. Did you know credit cards are not meant for accruing large amounts of debt? If you cannot pay off your balance in full on a weekly or monthly basis, you should not have a credit card. The purpose of a credit card is to build credit and earn rewards – not to carry long-term debt. If you find yourself carrying large amounts of debt or unable to match you balance with your cash income, stick with a debit card. Take advantage of sales – Seasonal coupons and sales can help you stay under or within your budget. If the crowds and gluttony on Black Friday discourage you, stay inside and wait for Cyber Monday. Small Business Saturday is another great alternative. However, be wary of overspending because something is a “good deal”. Use Google to your advantage – Pursue smart shopping the same way you would substance use recovery. In active addiction, people with substance use disorder overcome amazing obstacles to obtain drugs or alcohol. Apply this razor sharp focus to healthier pursuits. In other words, use it to the advantage of your financial recovery! Google is an excellent resource. There are hundreds – if not thousands – of articles on budget friendly gifting and debt repayment. Take a cue from the elves – Santa’s elves are known for hand crafting toys, and you can create wonderful handmade gifts, too. Pinterest is a great resource for crafting and/or creating a classy gift on a budget. If you don’t have a creative bone in your body, you can still fill a mason jar with homemade or store bought chocolate, and/or a bottle of nail polish or a small coffee card. Homemade ornaments, marinades or hot sauces work great, too. Many online retailers offer affordable plug and publish photo books. If you have access to evergreen trees on your own land (or a friend’s), learn how to make a Christmas wreath. If you have a work celebration, opt to bring cookies – or take a hint from The Office character, Kevin, and bring in your famous chili. Just don’t spill it! The handmade route takes a little more effort than simply swiping a card – and that’s what makes it so meaningful! Ask for help – If you are a parent and there is no money for Christmas, consider signing up for a program designed to make your child’s Christmas wish come true. When you’re back on your feet, you can pay it forward by donating to the same program. There is no shame in asking for help. Millions of people make community giving part of their season…and they would love nothing more than to bless your family. Think about your favorite holiday tradition. Is it warming up a mug of cocoa and heading out to look at lights? Is it baking sugar cookies or volunteering at a non-profit organization? Or is it binge watching every classic holiday special and Christmas movie? Or trimming the tree – no matter how small – and cooking a Christmas roast? 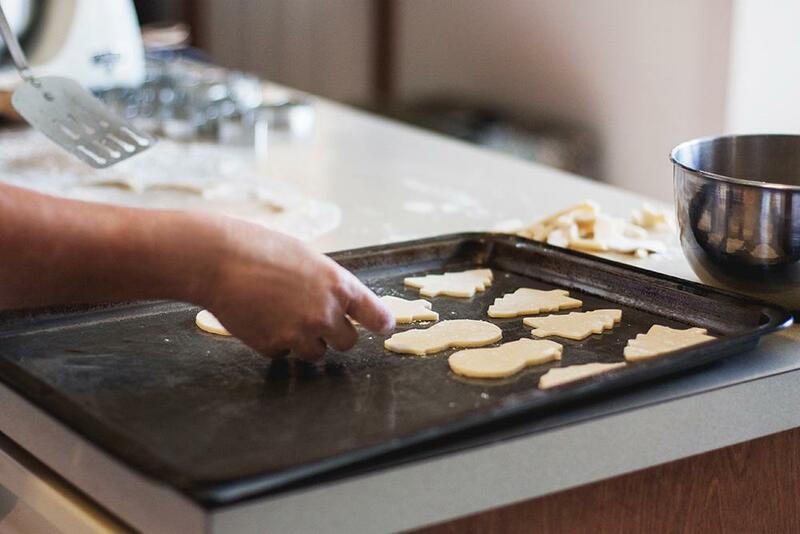 If your substance use disorder disconnected you from the holidays, you may not be able to identify your favorite tradition. Now is the time to explore! Chances are your loved ones will enjoy taking this journey of discovery with you. If you don’t know where to start, ask your recovery mentor or join some sober friends for seasonal activities. New traditions are gifts that cost very little money and last a lifetime. Next to your recovery, they are, perhaps, the greatest gifts of all. Do you need help this holiday season? We are here for you. Call (888) 649-1149 or contact us here.